I've never really been one to make anything mince pork related but the more Asian style dishes I make the more comforable I am with it. This dish is fabulous!! If there are only two of you you won't need any side dishes, but you could easily feed at least four people with a side of spring or egg rolls! 2) Dry-fry the mince and mushrooms for 5 minutes until the mince is browned and cooked through. Add the hoisin sauce, lime juice, and chilli, and fry for 2-3 mins. 3) Stir in the coriander. Serve in a bowl. 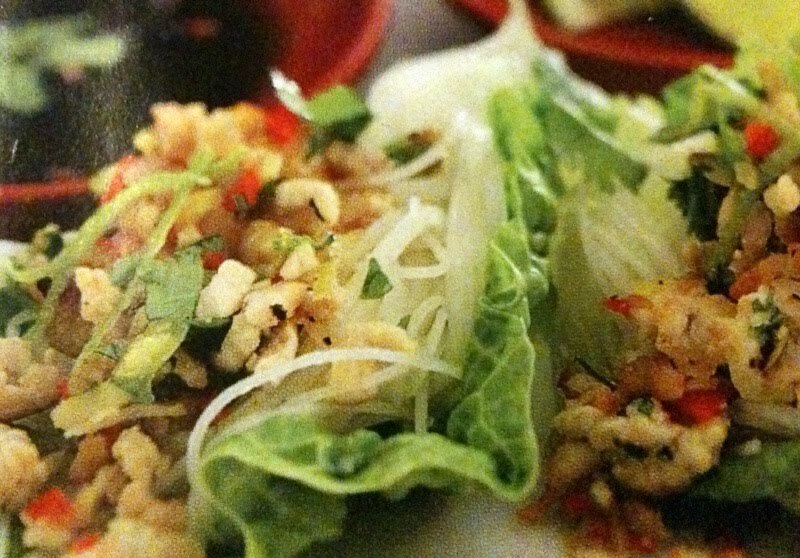 To eat, place some noodles on the lettuce, then spoon a little of the pork mixture onto the leaves and roll it up like a wrap.